Before we delve into how to make pores look smaller, we're going to give it to you straight, dear Byrdie readers—your skin needs pores to house its natural oils, called sebum. Because of this rather inescapable reality, you can never get rid of them completely. 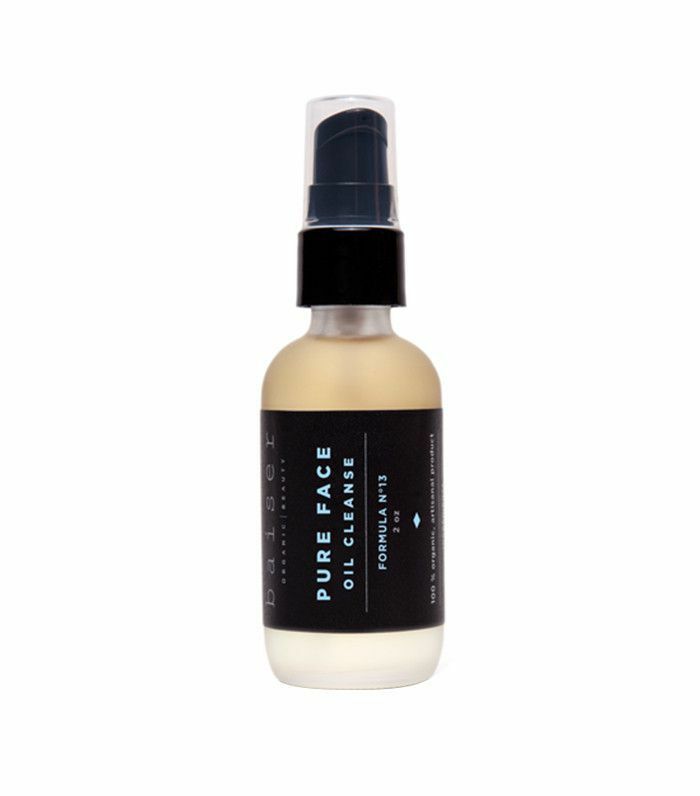 What you can do, however, is keep your pores clear of any impurities that could enlarge them. Erika Arguello, co-founder and product developer at Baiser Beauty, says, "When pores are infected or clogged, they expand. Especially around the nose where there are more oil glands, it leaves them enlarged. While it is not possible to eliminate pores since we need them for our skin to breathe, it is possible to make enlarged pores less noticeable." In an interview with Allure, dermatologist Papri Sarkar explains that "when people talk about skin 'breathing,' they're usually referring to whether the skin is occluded or not. Occluding the skin can cause pimples, whiteheads, or blackheads." It's this buildup that can lead to clogged, enlarged pores. You've heard what the experts have to say—now learn the simple way to make pores appear smaller in five easy steps. Before you exfoliate, place a warm washcloth on your face for five minutes to open pores. 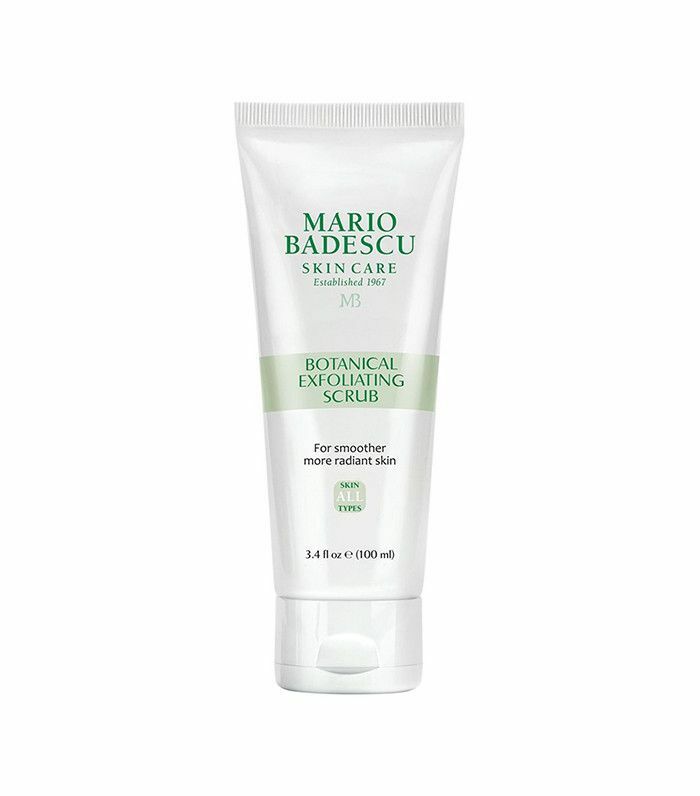 Then gently exfoliate in smooth, circular motions without applying excessive pressure to the face. Focus on problem areas where dry skin and clogged pores are the most prominent, like on the nose and cheeks, before rinsing your face completely with warm water. Exfoliate two to three times a week to avoid aggravating the skin. Moisturizing is an essential step in any skincare routine—one that will also diminish the look of pores. Dry skin produces excess oil in an attempt to alleviate dryness, but this can result in clogged pores instead. Use a gentle noncomedogenic moisturizer, and while you're at it, be sure to apply sunscreen as well. Sun damage can lessen the elasticity and collagen in your skin, which can result in enlarged pores over time. By pairing moisturizer and sunscreen, you can keep skin healthy, and that means no flared pores. Make it part of your weekend routine to use a face mask that can do a bit of gentle, deep cleaning on your pores. As with exfoliating, place a warm washcloth on your face for five minutes before applying your mask. Additionally, if you can indulge in a facial every one to two months, a professional can help extract and exfoliate deeper debris in your pores. To shrink pores even more effectively, Dr. Melissa Doft recommends, “using non-clogging makeup, routine exfoliation, and topical retinol.” She goes on to explain that retinol, along with regular exfoliation can “increase cell turnover,” creating a smoother appearance of the skin. If enlarged pores persist, Dr. Doft says, “I also recommend fraxel to boost collagen production.” A fraxel laser can even out skin texture and shrink pore size while an increase in collagen production tightens and rejuvenates skin. One of the most important steps you can take to prevent enlarged pores is to avoid touching your face. Poking and prodding at blemishes or pores can aggravate the skin and push debris deeper into pores instead. Even clean hands can aggravate flare-ups, so leave the extractions to a professional. If there are areas of your skin that are irritated, avoid exfoliating or putting too much pressure on the area. Wait until the skin is completely healed before attempting to shrink pores. 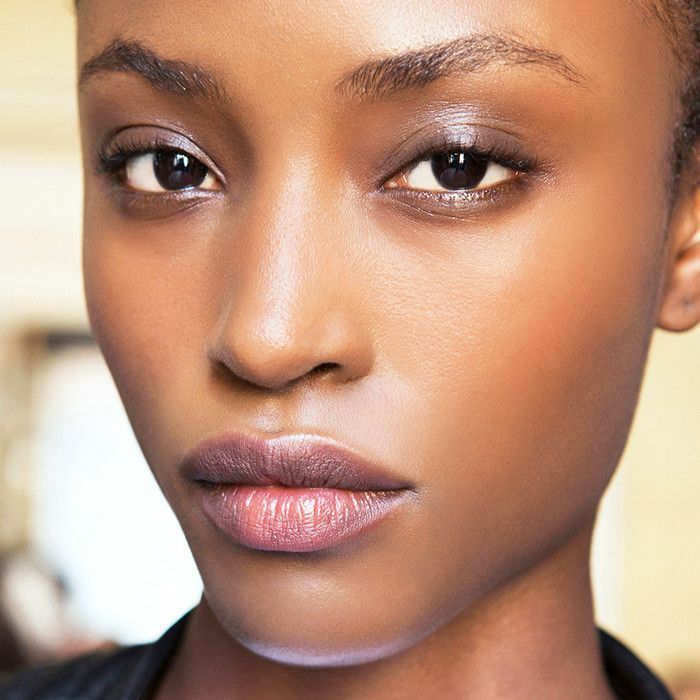 Keep scrolling to shop our favorite pore-shrinking wonders. 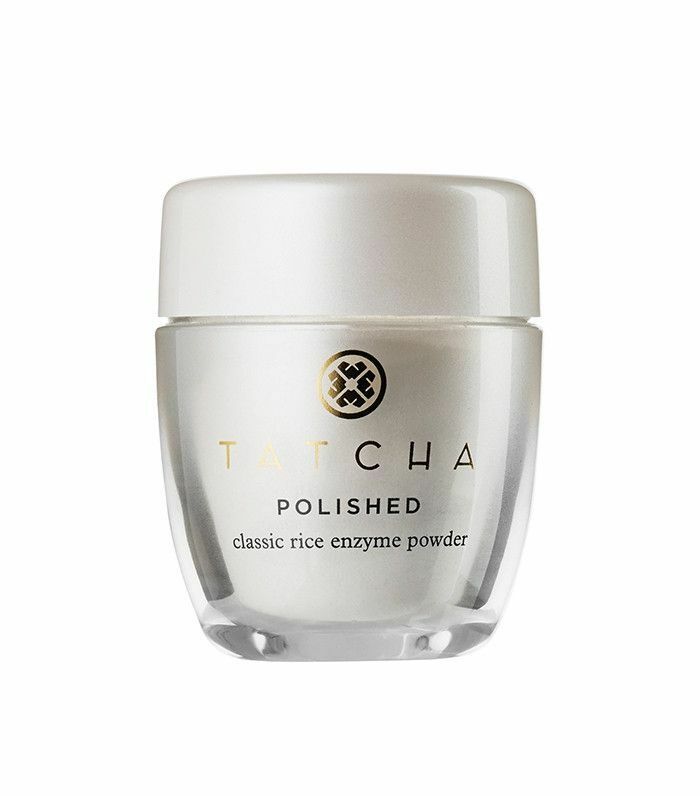 This scrub contains white clay to further extract impurities. 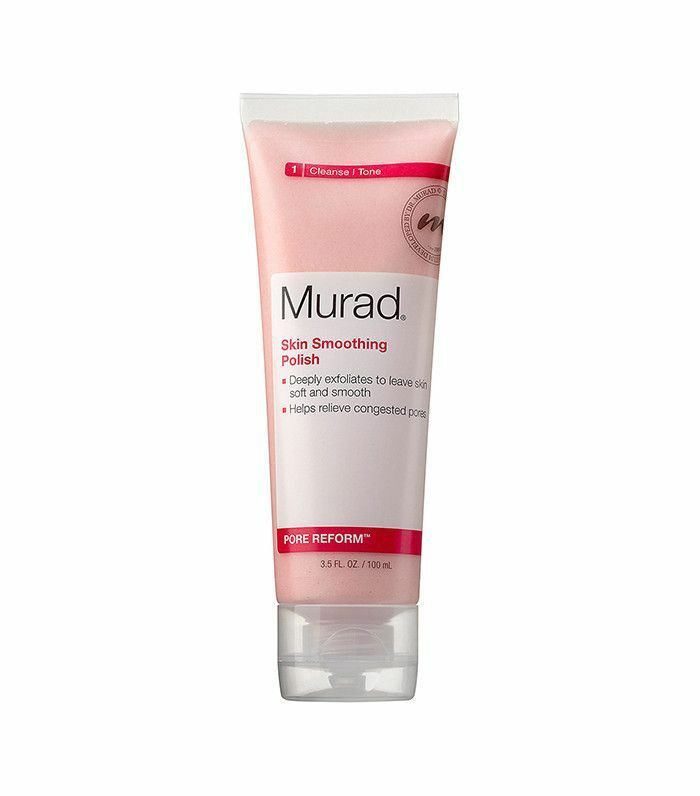 Dry skin is instantly smoothed away with this intensive treatment. If you have particularly sensitive skin, this treatment may not be the best option. 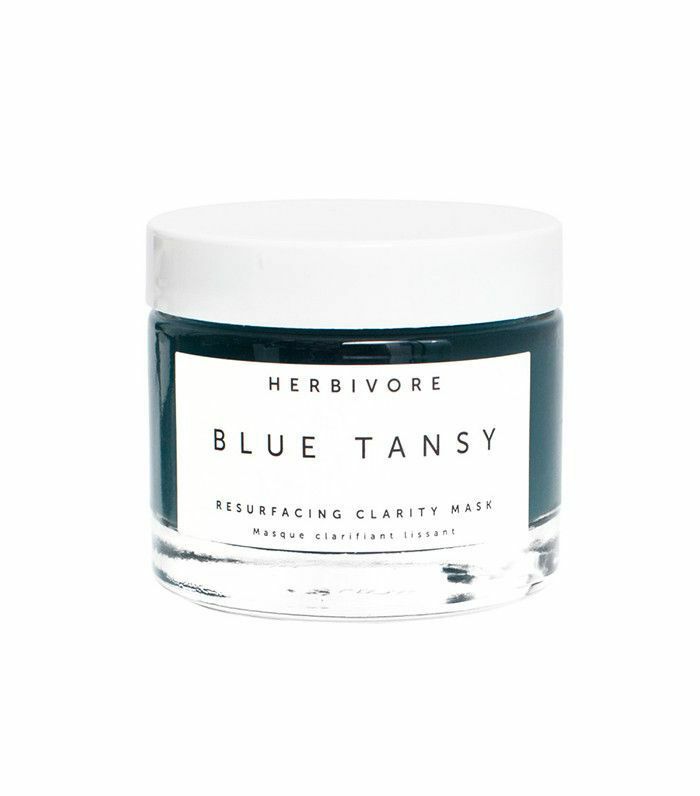 Made up of natural, organic ingredients, this formula combines a mask with an exfoliator. Arguello recommends the following for clear pores: "Gently massage the Formula 13 into your skin with clean fingers, lie down, and cover your face with a warm face cloth for several minutes to help open pores. Rinse the washcloth, and gently wipe away any excess oil. If you have time, repeat the process for even better results. Finally, rinse your face in cold water to help close the pores." This botanical scrub contains aloe vera, coconut, ginger, ginkgo, and green tea extract to gently brush away impurities. Use this as a weekly scrub to boost your everyday routine. 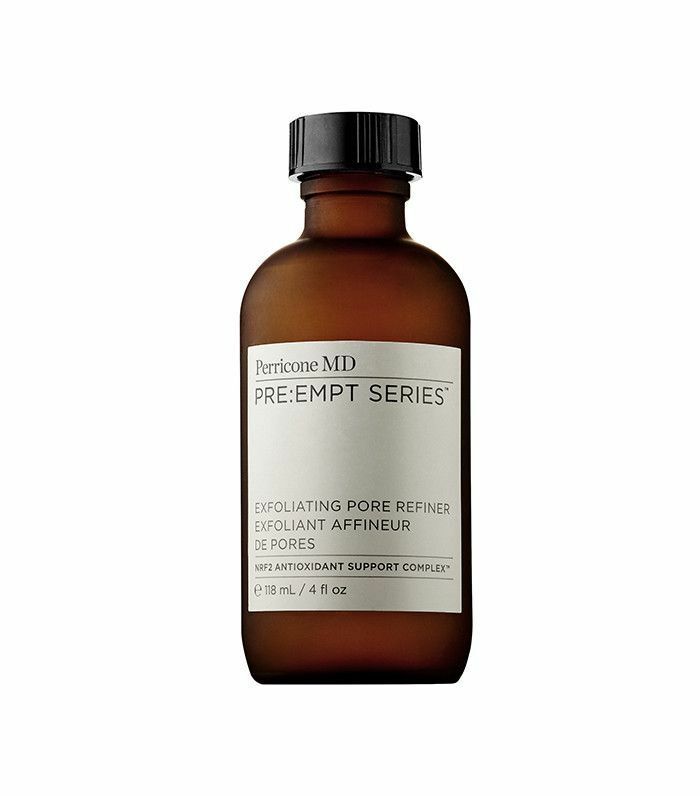 If you'd rather avoid scrubs, Perricone MD's Pore Refiner works as a toner. Dab it onto a cotton pad, and apply once over the face. 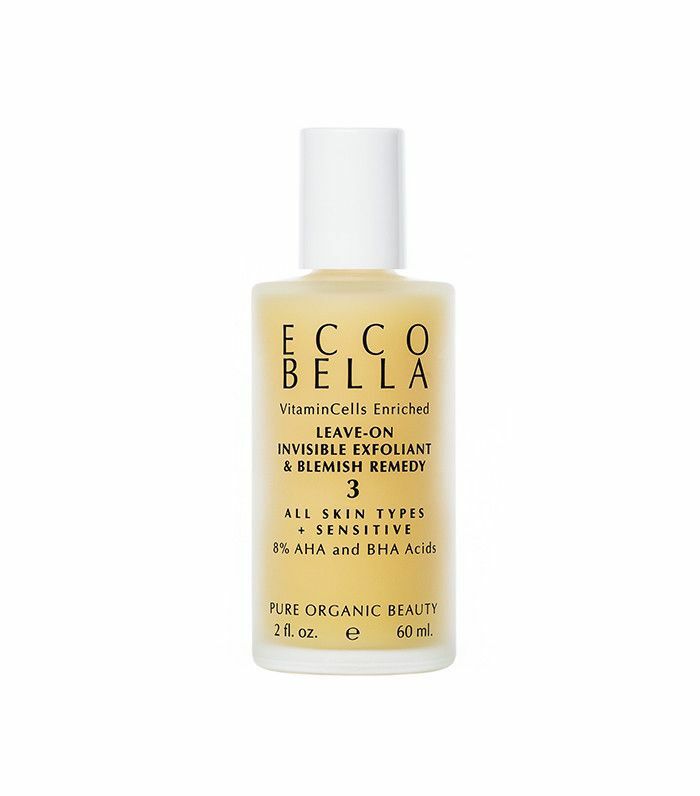 Darlene Zembrod of Ecco Bella says, "The salicylic acid helps to remove debris in the pore; environmental debris and dead skin cells can enlarge the pore and run the risk of blackheads forming. 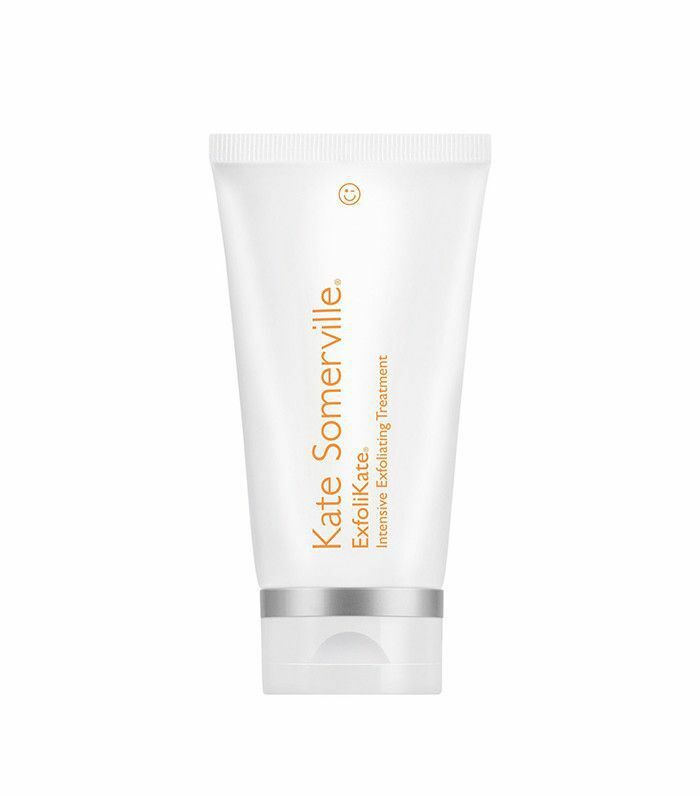 Invisible Daily Exfoliant is effective yet gentle, as it only digests debris and dead skin cells, leaving healthy new cells intact." Mix this powder with water for a creamy, gentle exfoliating wash. 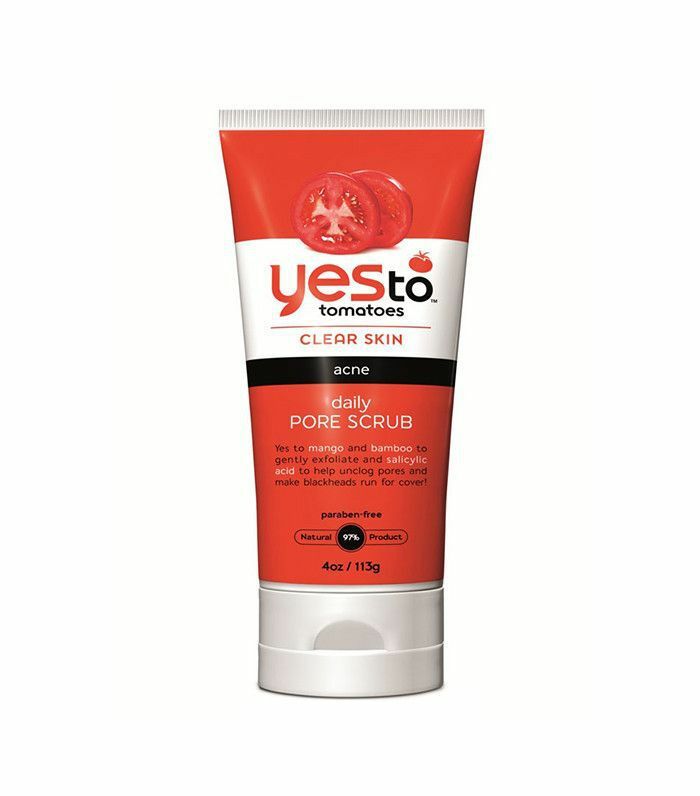 If you're prone to acne, this scrub contains salicylic acid to help fight breakouts. Up next, learn how to unclog pores with a few easy DIY treatments.